Gentle Foaming Cleanser is a pearl colored, lightly lathering cleansing gel. 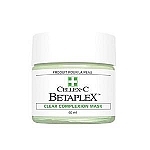 Contains alpha and beta hydroxy acids and has a refreshing scent of green cucumber. Specifically designed to remove oil, grime and accumulated surface skin buildup. 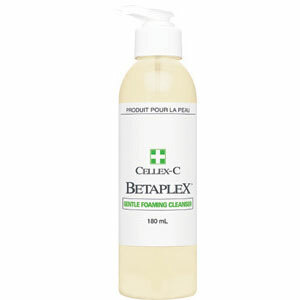 Provides the deep cleansing effect of a gently lathering, soap type cleanser without stripping the skin’s natural oils. Regular use will help reveal a clearer, brighter complexion to dramatically reduce the visible signs of aging — fine lines, rough, devitalized, dull-looking skin. Non-greasy, lightly foaming, gel formulation helps restore a smoother texture to the face, while leaving skin thoroughly cleansed and refreshed. The gentle lathering foam, rich in hydroxy acids, helps promote a healthy looking glow to the face. 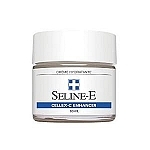 Thoroughly cleanses and unclogs pores while helping to remove the dry, outer layer of your skin. Generally, improvement in the overall appearance of the skin can be seen within 5–8 weeks of daily use. I have been using this product for years...perfect for my combination skin. Feels so good and you only need a teeny amount for a good lather, so it lasts longer than you think! This is the starter in a great line of skin care. Feels great on my skin. Does not dry out. This is simply the BEST line of face products! I have been using them for over 5 years; why change?! Absolutely love this stuff. 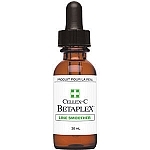 Had acne since I have been a teen and tried so many over the counter and brand name items. This is by far the best and I am so glad I found it....love it! Drizzle water over the gel and whisk into a lather with the fingertips of your other hand. Apply the foam to your face, massaging for about ten seconds. Avoid eye area. Rinse with warm or cool water and washcloth. Within two minutes after application, a slight tingling sensation may be felt due to the higher concentration of hydroxy acid in the lathering cleanser. This will subside momentarily. If discomfort occurs, rinse again with cool water and discontinue use. To enhance the exfoliation process, use an exfoliating mask once a week. 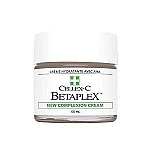 ACTIVE INGREDIENTS: Alpha and Beta Hydroxy Acids, Cucumber, Aloe, Red Clover.